ACME Machine Works, Inc. has over 60 years of engineering and design experience to provide you with rugged and reliable machine systems. We have the expertise and institutional knowledge to efficiently and economically take your project from concept to final design. We work extensively in a wide range of industries, with an emphasis in the Primary Aluminum Industry. ACME's Engineering team combines creativity with common sense engineering and design practices, enabling us to design parts, assemblies and entire machine systems in unique ways to address the specific requirements of your project. 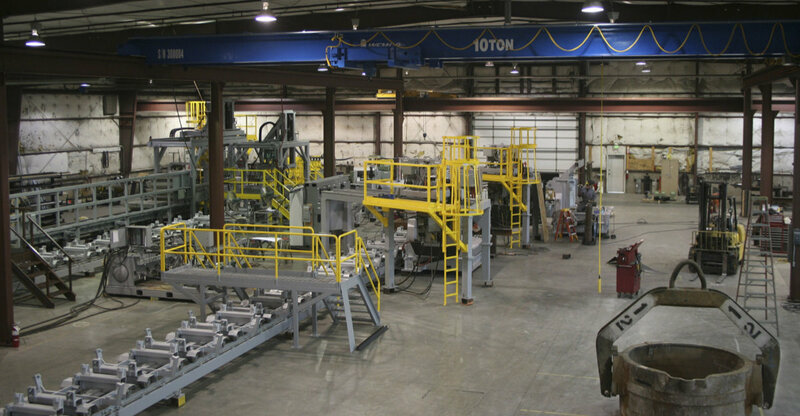 We provide the complete engineering and design package, including mechanical, electrical, hydraulic, pneumatic, controls as well as systems integration, and automation programming. Our engineering and design offices are located at our manufacturing facilities, giving our team shop floor access resulting in an interactive relationship between engineering and manufacturing. We can conceive, design, engineer and manufacture your system or equipment with a team that brings design, engineering, fabrication and manufacturing expertise together as a complete package.